Picked up a great pair of RDL Acoustics F-1 this weekend. A mere $80. All is good with them. May need new surrounds on the top woofers. They are in-tact but in that stage of where it seems like you could put your finger through them. No biggy. Great cherry finish and overall styling with these, which I think Roy A. was pretty good about over the years. Currently being driven by my fully restored Pioneer SA-9100 at 60/ch. I will put them in the main system where I can go 240/ch SS or 35/ch tube and see what they do. They seem a little in want of power. Love Roy's tweeters. I feel fortunate to have a pair of these as they seem rare as hens teeth these days. They proudly join My Allison Ones in the collection. Hey from the Mountain Pacific Northwest! Definitely the nicest of version of the classic Allison models. Those leads to the Tweeter are prone to corrosion but are easy to remedy and of course the foam softens to a crumble but also easy to remedy. ( I need to do both of these on my set, since they've been sitting idle for a while). Sadly I'm going to part ways with my Allison Ones. the cabinets have seen better days and I have other Restoration projects that are more important to me. The RDL speakers will get a stay of execution for a little while after I get them all doctored up and back into the rotation. Then it'll be time to see them off as well. 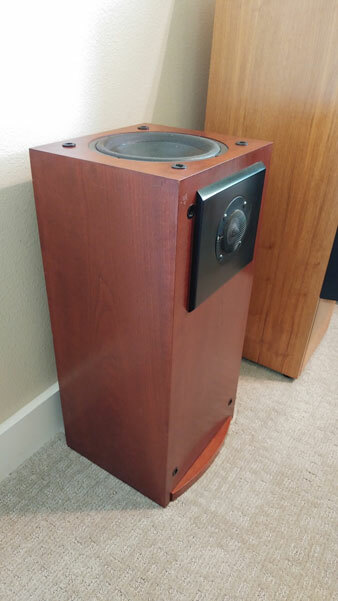 I own a nice pair of Roy Allison's RDL FS-1 speakers. Purchased them directly from Roy back in 94. Unfortunately a service tech altered the schematics and refuses to reset. I am looking for the schematics on these and someone willing to do the work for me. These are my favorites ever and I'm upset to no end! Please help this Indiana guy if you can. Try the Allison group on Yahoo. They do post schematics. Not sure if they have RDL. Thanks for the yahoo suggestion. I also have copy of the Test Report done by Stereo Review in Feb. 94. 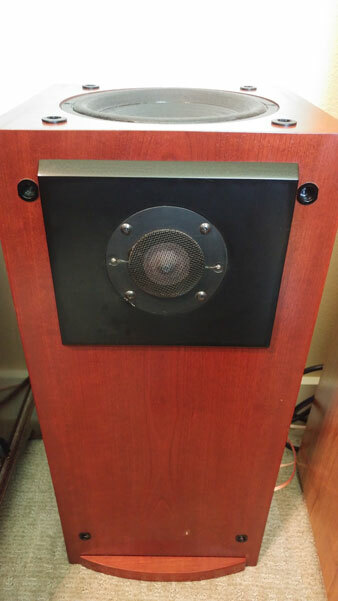 According to the Report both RDL Acoustics F-1 and FS-1 speaker systems are identical in almost every respect. Both models use a 2-kHz crossover, with 6-dB-per-octave slopes and have a sensitivity of 87 dB sound-pressure level at 1 meter with a 2.83-volt input. The only difference in the 2 models is the F-1 has its woofer on the top facing up where the FS-1 is a conventional set up. There are complete spec's in this Report, but no schematic.